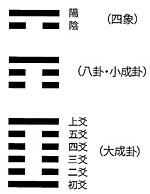 I-Ching is based on a binary world with the two values, Yin and Yang. 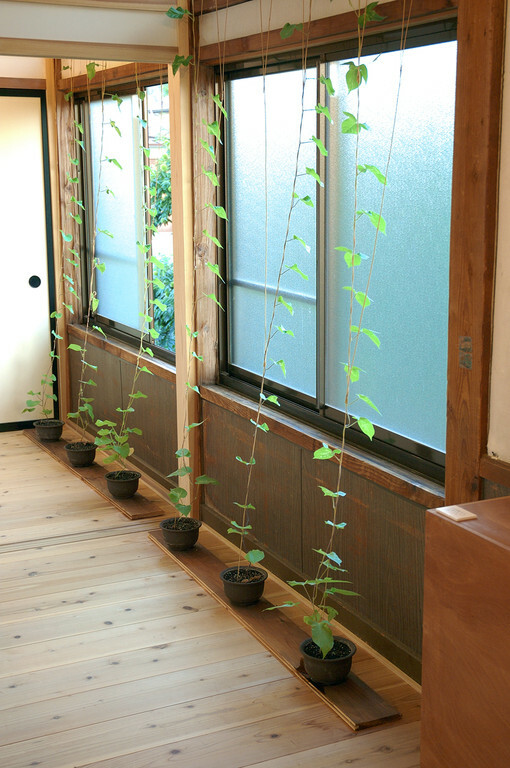 With this device, eight divination signs are read through a process of a creeper growing up a stake. 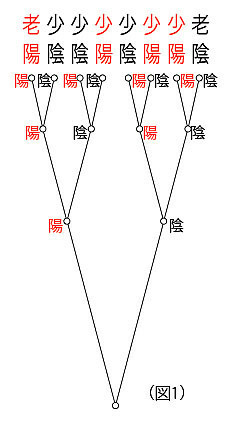 into two, then branches off into two again, and further up branches off: by into two once again. 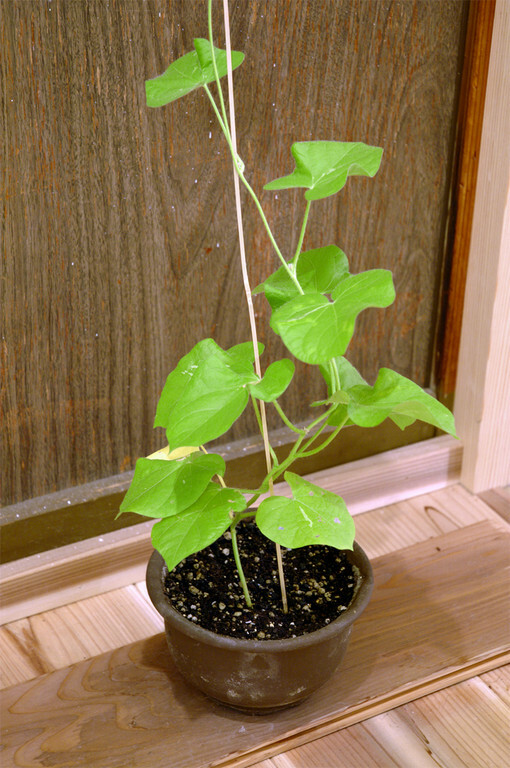 Thus, the stake branches off into eight pieces. 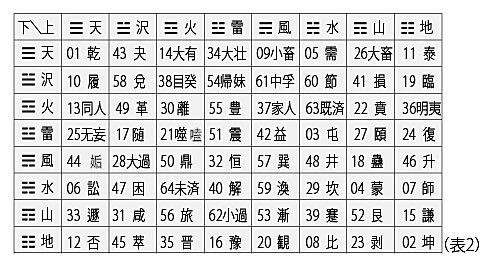 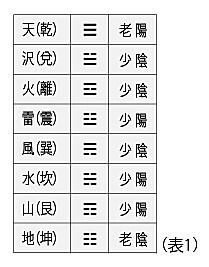 The eight divination signs are allotted to each of the eight branches. 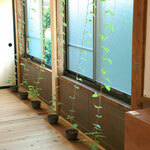 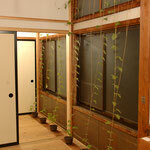 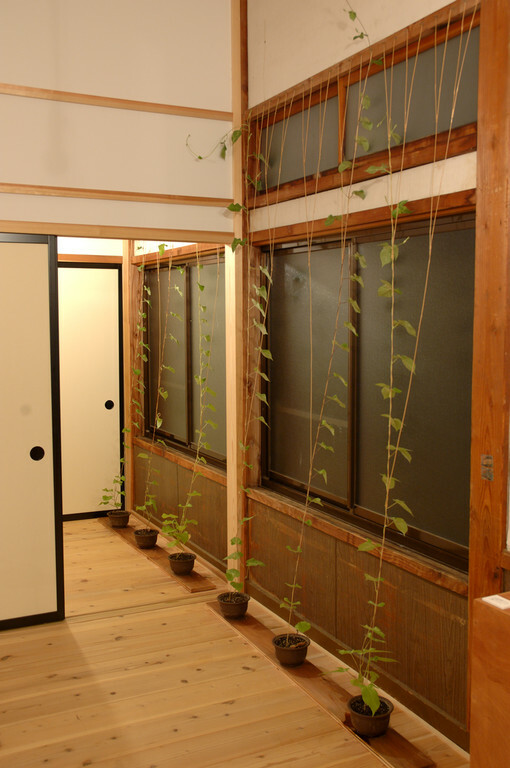 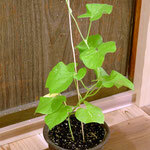 The divination results can be obtained depending on which branch of the stake the grown plant reaches.